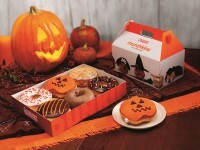 Yesterday Dunkin’ Donuts did a nationwide launch of their new Croissant Donut. 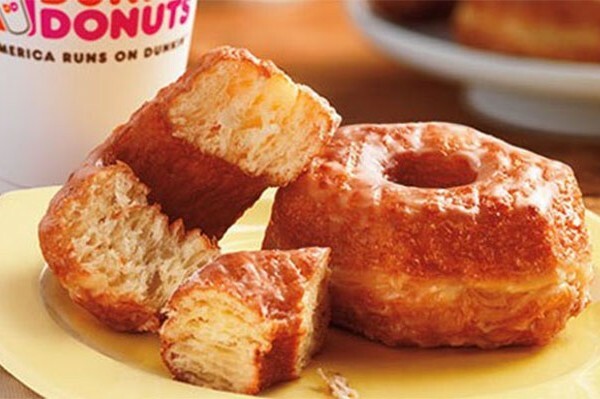 The donuts is a cross between the breadiness of a croissant with the sweetness of a donut. It has 24 layers of dough, then covered in a glaze icing. This makes it crispy on the outside and soft inside. 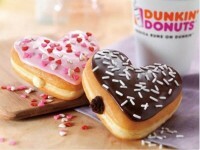 It sounds like Dunkin’ Donuts missed the mark at a great opportunity by going too simple. Hopefully more reviews come in, because I always like to see brands take a risk with a new spin on an old product, or creating delicious mashups like this. The Croissant Donut retails for about $2.49.